First over the start ramp was the cross-border duo of Kris Meeke and Paul Nagle, now in their second full year of WRC competition for Citroen, eager to build on their impressive performances last year. 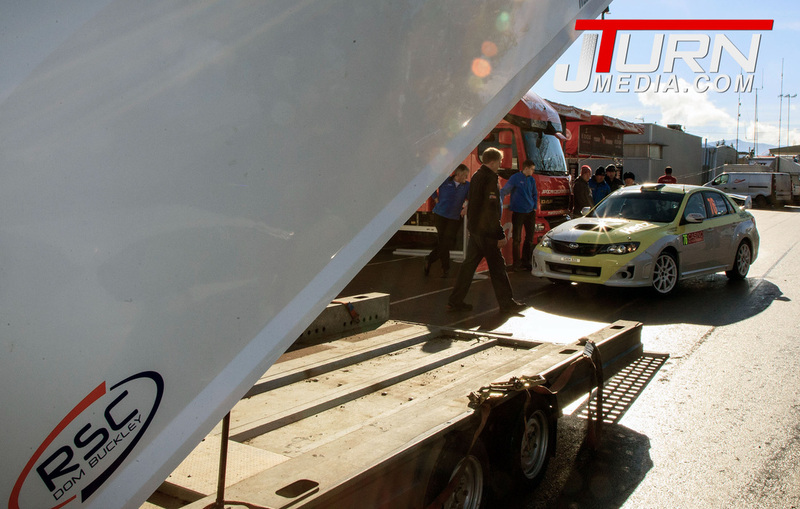 Next up was Craig Breen and Scott Martin in the fast but as yet unreliable 207 T16. Peugeot will be keen to show their new car just had teething troubles and have chosen Breen to spearhead their assault on this years European Rally Championship and the WRC2 series which also kicked off at the Monte. 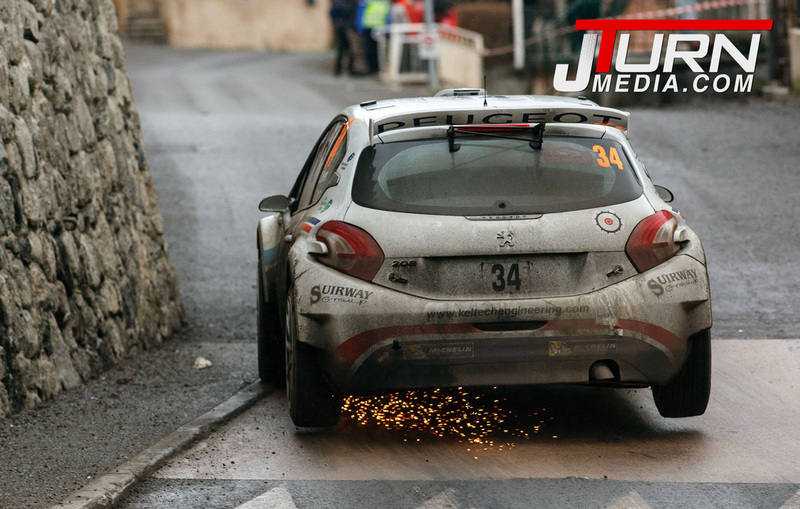 Reigning British rally champion Daniel McKenna stepped up to the WRC in his new DS3 R3T and hoped to place well in the WRC3 and JWRC sections of the rally with his navigator Andrew Grennan. 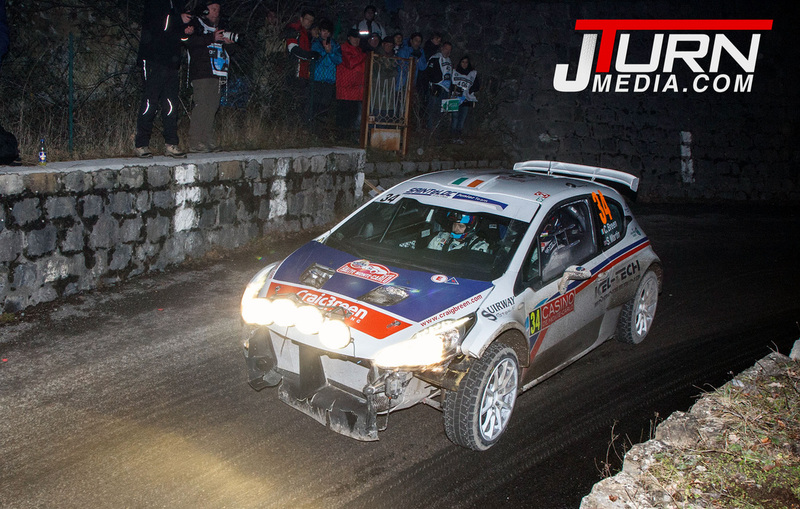 Ex Irish Tarmack champion Eamon Boland enjoys his rallying and is no stranger to the Monte. Last year he finished 14th and this year he debuted JRM's new R4 Subaru with his co-driver Michael Morrissey. The first stage was 1 of 3 broadcast live worldwide and Kris got off to a flying start. He made his way through to complete just 1.7 seconds slower than reigning champion Sebastian Oiger. The returning Sebastien Loeb was Meeke's teammate for the weekend and eclipsed the entire field by over 20 seconds leaving Kris was 4th overall 32.6s off the lead after stage 1. Stage 2 didn't go quite so well with Meeke only setting 9th fastest time, dropping 44.8s to a hard charging Oiger. 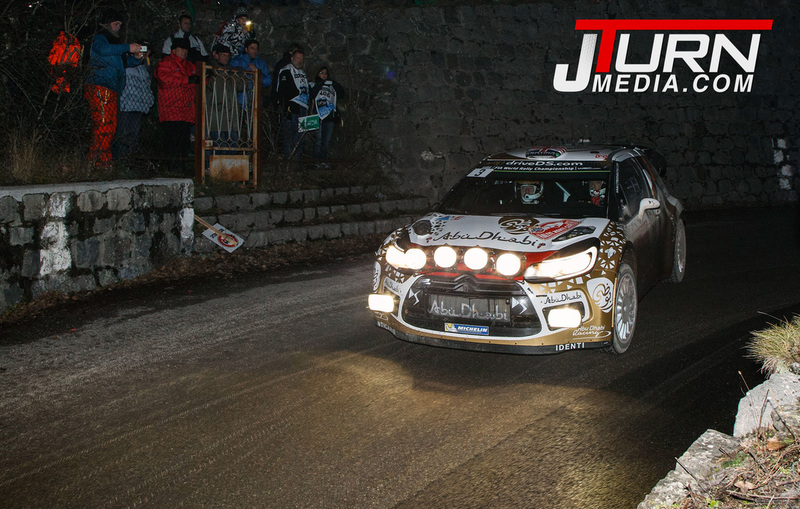 With the opening night stages behind them first Kris and Paul lay in 6th position 12.4 seconds behind Elfyn Evans. Kris struggled to find his rythm on Fridays opening stage only setting 10th fastest time and letting Andreas Mikkelsen through into 6th position overall. 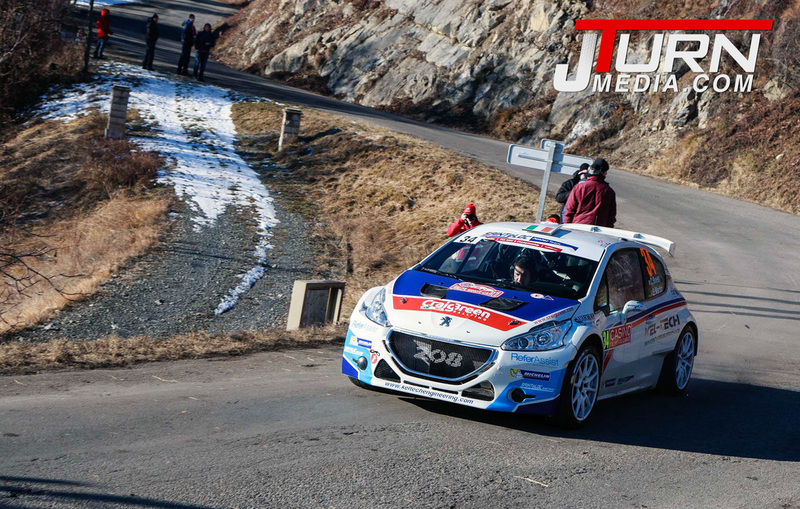 Stage 4 went much better, his time was enough to regain 6th of Mikkelson, albeit by just one tenth of a second. Meeke had a solid run on the final stage before service to consolidate his position and reduce the gap to Evans in 5th to just 0.4 seconds. 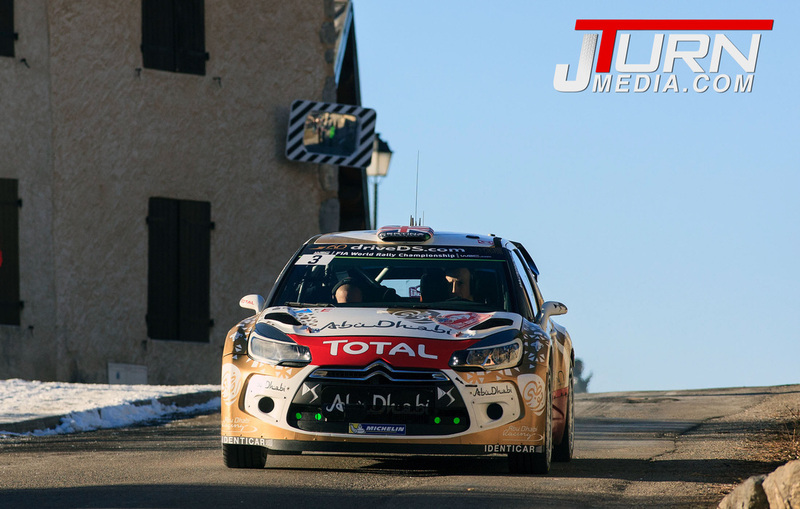 At the front Loeb's lead had been cut to 3 seconds by Oiger, Jari-Matti Latvala held 3rd position over minute off the lead battle and 24.3 seconds ahead of the M-Sport Ford driven by Ott Tanak. On the next 2 stages Kris found his rhythm and started to pull time on the cars in front of him. 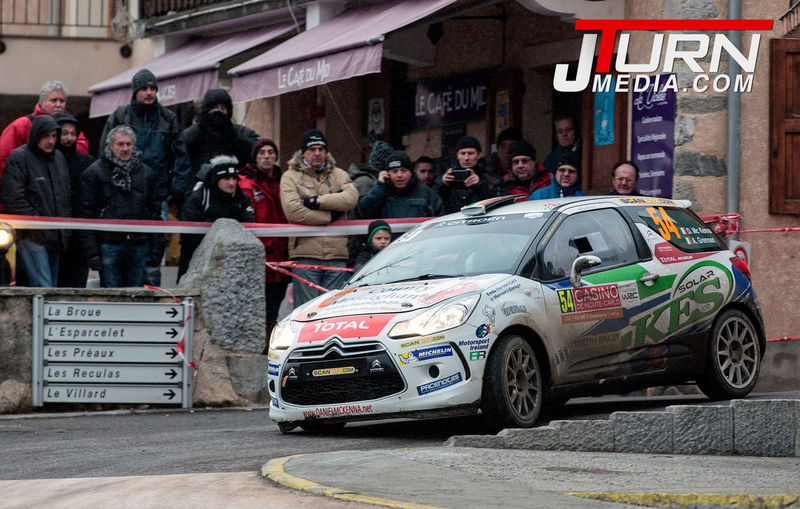 On stage 6 he passed both Tanak and Evans to take 4th place overall. Stage 7 was Meeke's first top 3 time of the season and reduced the gap to Latvala in front to 37 seconds with one stage left on Friday. 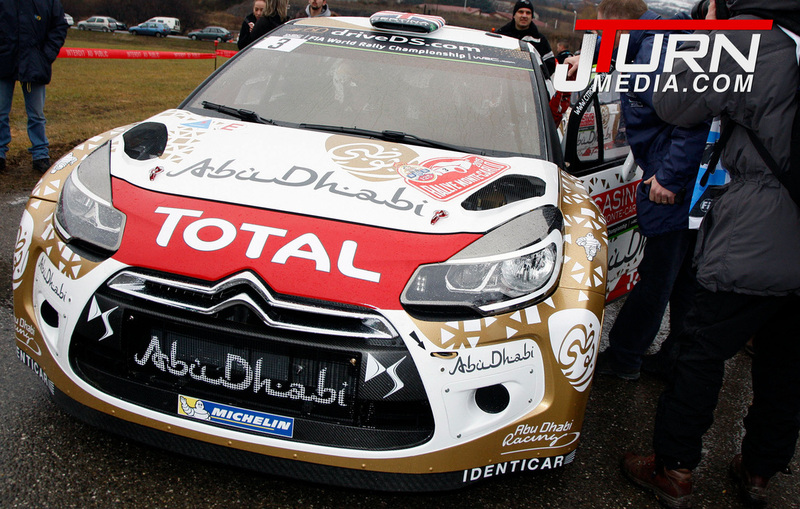 Probably the worst stage for Citroen since they entered the championship. Meeke was first into the stage and first to run into trouble, he went off on a high speed section hitting the rear and damaging the car. 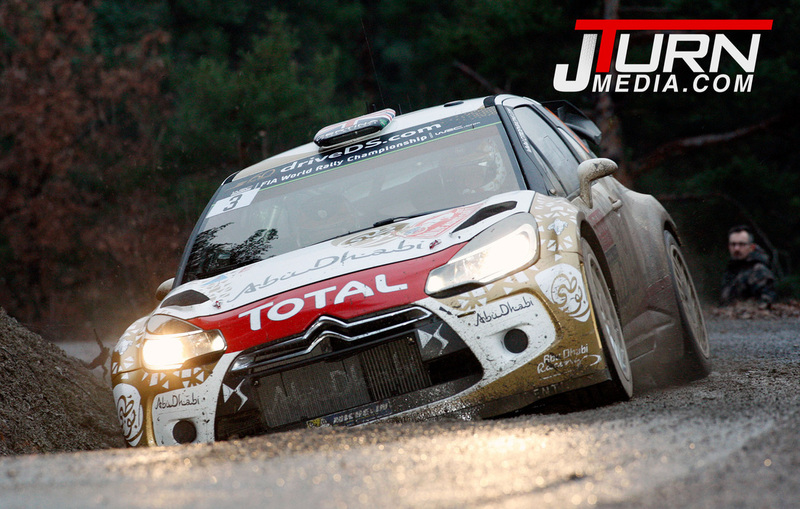 Loeb had a lower speed off that resulted in exactly the same problem, broken rear left suspension. 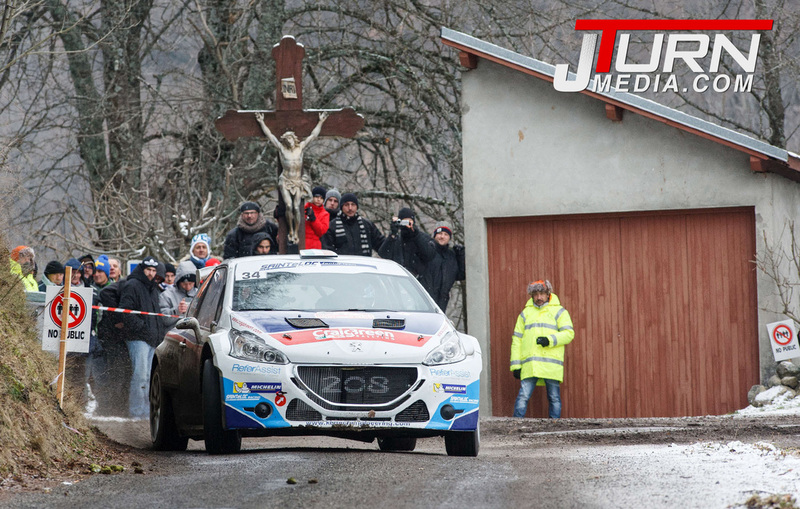 Kris didn't make it to the end of the stage and Sebastian couldn't reach service, forcing both to rejoin the following day, under super-rally rules. 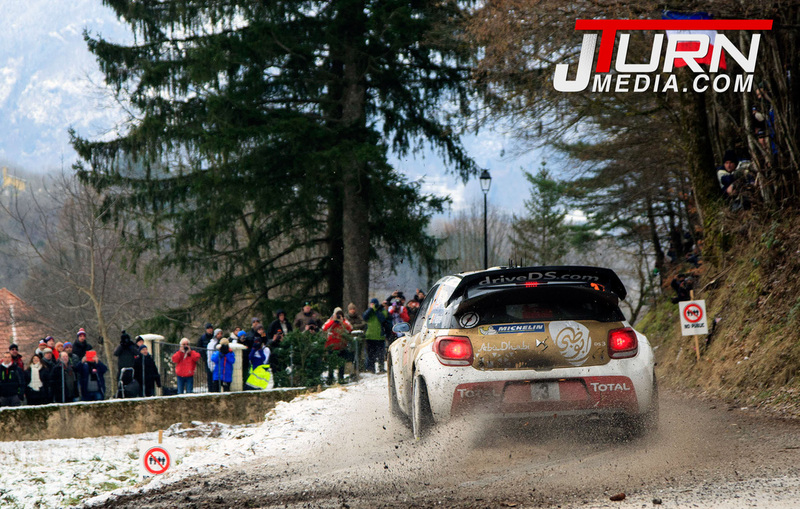 Saturday's first stage was cancelled due to excessive spectator numbers so the action started on stage 10, the longest of the rally at 51.7km. Nobody could match the pace of Robert Kubica's Fiesta although Kris was best of the rest as he started the climb back from 21st position. 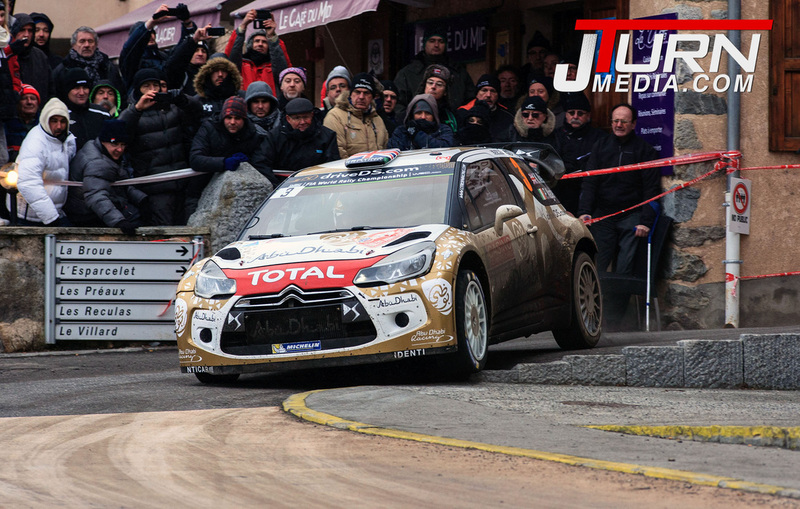 Meeke continued to show his speed on the 11th stage, setting 4th fastest time, 5.6 seconds slower than Loeb's benchmark. Stage 12 was a different story! Kris span midway through the 36km stage losing over 10 seconds and yet still set his first fastest time of the rally, on the last stage before all the teams headed to Monaco for the closing tests. After leapfrogging from 13th back into the top 10 on the previous stage Kris set off with the intent of clawing back some more time on stage 13, he promptly set the fastest time. 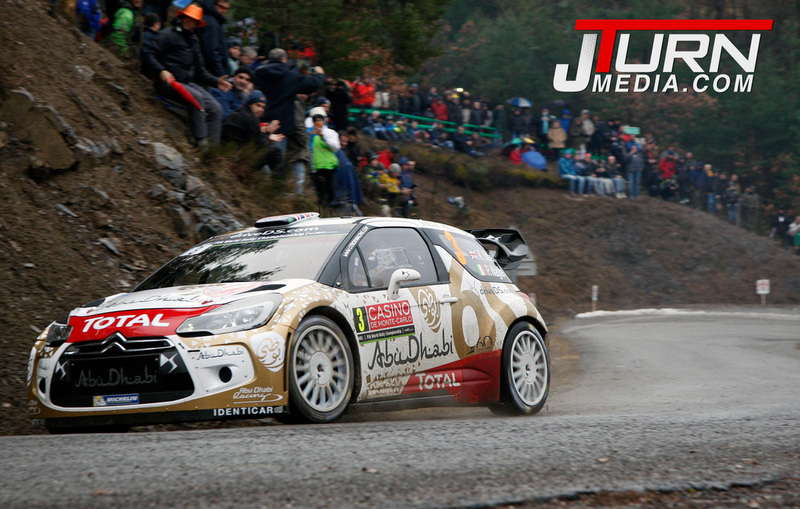 On stage 14 Meeke chose to hang back and save his tyres so he could attack the Power Stage to get some extra points. The tactics through the long previous stage definitely worked as Kris powered through the stage to clinch the extra 3 points on offer by just 2 tenths of a second! The Monte certainly had lived up to its reputation, what might have been if it wasn't for stage 8? Kris and Paul can take great pride in their performance, 3 stage wins is no shabby achievement with the company they keep! Breens rally got of to a shaky start on Thursday when he damaged a wheel and ripped the front bumper off on the opening stage, dropping over a minute to the pace setters. 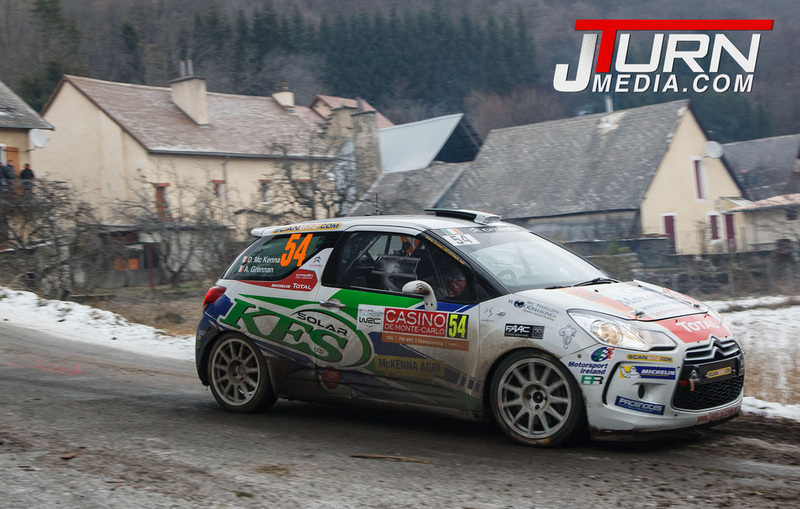 Stage 2 went far better with Craig and Scott setting 3rd fastest time to leave the pair 4th in WRC2 overnight. 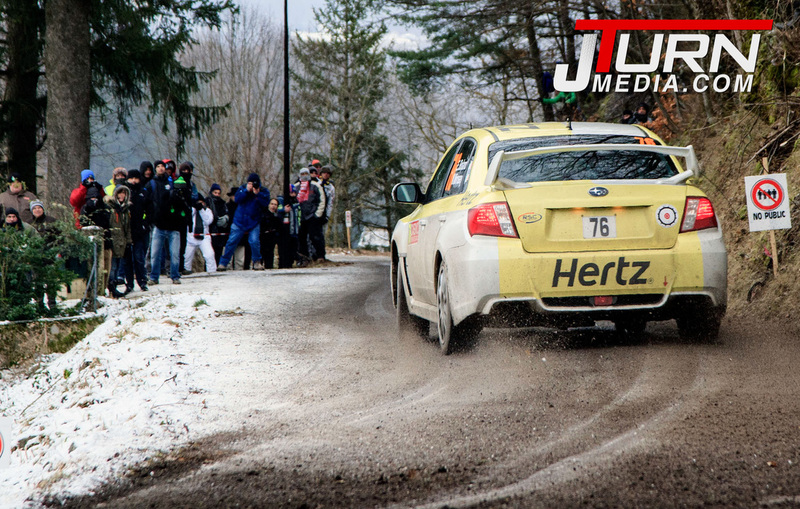 Conditions had been made more treacherous as the leading cars pulled snow out onto the stages on Friday, making grip hard to judge for the WRC2 drivers. Craig had a solid day and finished where he started in 4th position, despite having trouble finding the correct set up on his Peugeot. Breen started to shine after changing settings in service on Saturday but with large gaps in front it looked unlikely that he would improve on his 4th position. The WRC2 rally was then turned on its head when 2nd placed Martin Koci ran into trouble, dropping 3 minutes, leaving 20 seconds between Armin Kreimer in 2nd and Craig in 5th who had been passed by Eric Camilli on the days last stage. Without a doubt the final leg was going to be interesting! 2nd fastest on the last day's opener was enough to move Breen into 4th ahead of Koci. 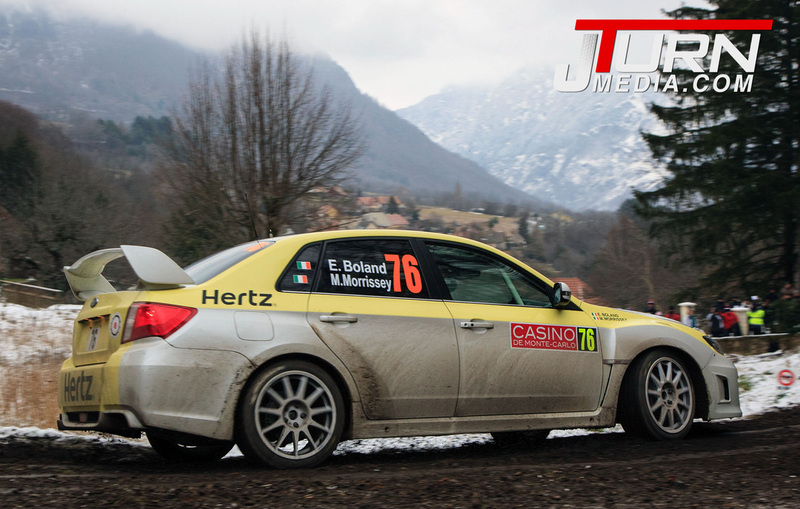 Craig and Scott stormed through the last 2 stages, winning them both, to jump to 2nd place, once again proving that you can never underestimate the Monte! Daniel had a lot to prove last weekend but unfortunately luck was not on his side. 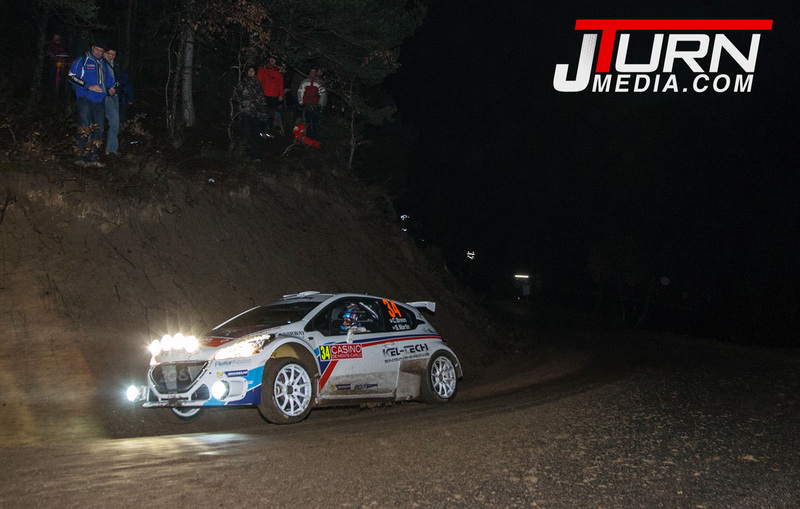 He set a blinding pace on Thursday's night stages and lead the WRC3 competitors only to be handed a 2 minute 20 second time penalty, dashing any victory hopes. Daniel showed promise on later stages setting more fastest times and making it back up to 4th on the leader-board before gearbox issues forced the WRC3 hopefuls to retire before Saturdays stages got underway. Eamon Boland's experience really showed in his new R4 Subaru to comfortably lead the class by over 10 minutes after the opening 2 days! Unfortunately as with many new cars mechanical problems set in on stage 10 and forced Boland to retire from 37th position overall.